Best to do everything you can to keep the choppers if you want to stay lucid as you age! The International and American Associations for Dental Research (IADR/AADR) published an article in March 2016 titled “Tooth Loss Increases the Risk of Diminished Cognitive Function: A Systematic Review and Meta-analysis” The study appeared in the OnlineFirst portion of the JDR Clinical & Translational Research. Cerutti-Kopplin and colleagues systematically assessed the association between oral health and cognitive function in adult populations. A release from the International & American Associations for Dental Research notes that the increase of cognitive impairment and its pathologic correlates, such as dementia and Alzheimer’s disease, in aging populations is progressing worldwide and creating a significant burden on health systems. 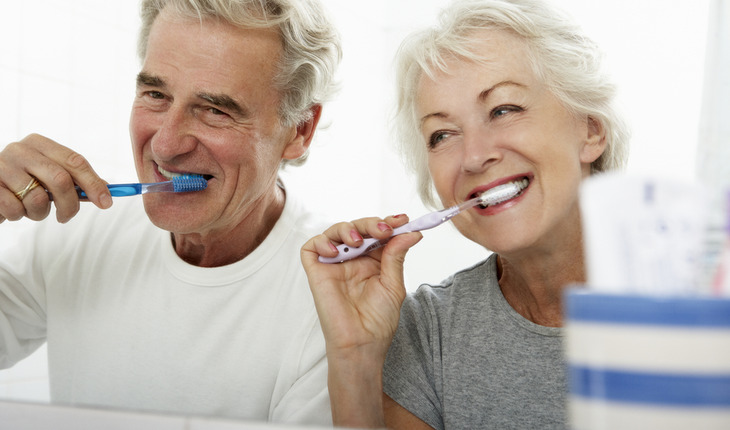 Better insight into the nature and extent of the association between oral health and cognitive function is of great importance since it could lead to preventive interventions for cognitive performance. Therefore, the objective of this review was to systematically examine if tooth loss leads to cognitive impairment and its most prevalent pathologic correlate (dementia).